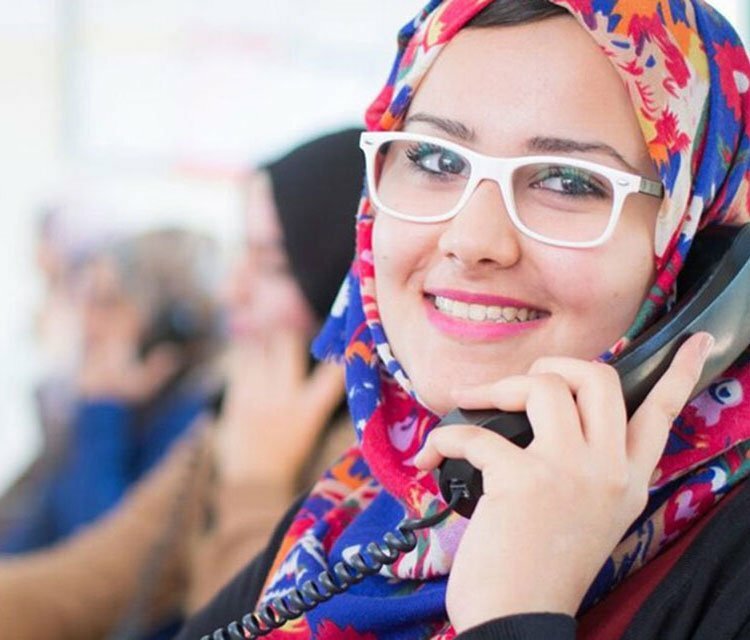 Launched in 2007, JRF’s 110 Helpline is an unprecedented, free-of-charge service available throughout Jordan, operating 7 days a week from 9 AM to 7 PM. The Helpline offers services in psychological support and consultation, as well as referrals. The initiative aims to alleviate the effect of risk factors children in vulnerable families are exposed to, including families facing challenges impairing their parenting, as well as abuse cases. The helpline is a confidential service that primarily focuses on women and children. It prevents abused children and women from being stigmatized and provides callers with resources and guidance that do not obstruct, label or judge them.